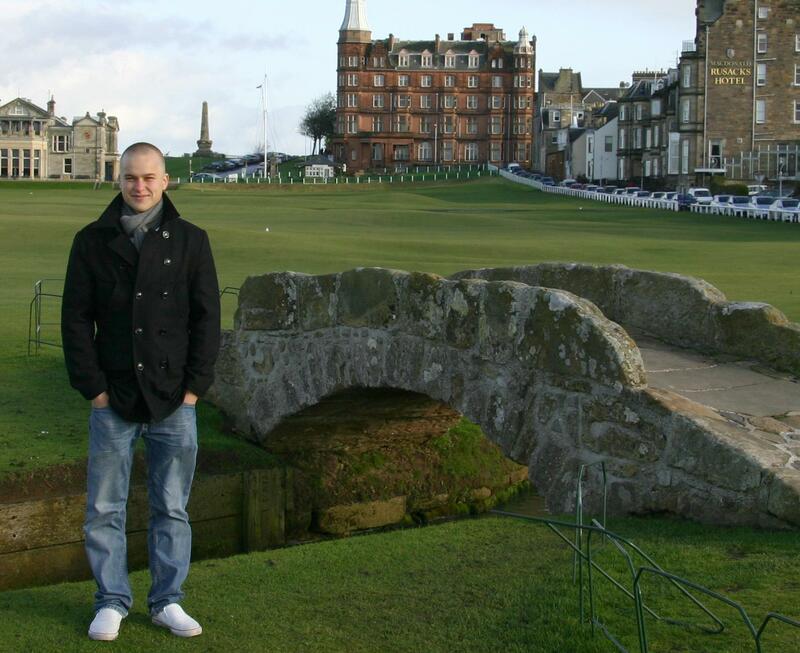 Me and The Swilcan Bridge will meet again in coming weekend! What a happy reunion it’ll be! This pic has been taken in 2008. Hi everybody! Like wrote last time I spent last weekend in Brighton and played there two great rounds of golf. Gosh, I had already forgotten how much and why I love links golf so much on British downlands. For a one reason or another, I play good golf at links almost always. Almost! 🙂 Links golf allows you to be creative and that’s suits my game – a creative guy plays creative golf… In States everything is played pretty much up in the air, and fair enough to say it’s the same thing in Finland as well. In Britain you get to use the ground as an ally and hit a lot of different shots. The wind is always present. 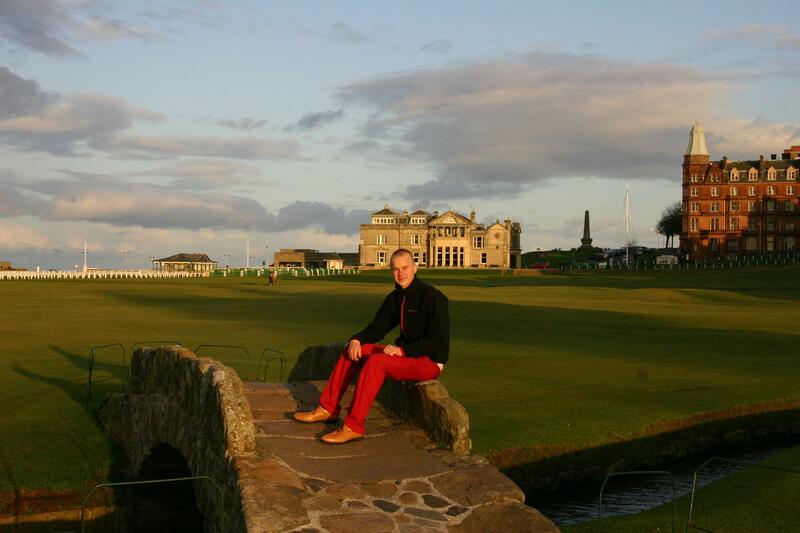 On Sunday The Old Course is closed and free to walk by anybody. Did that in 2008 and will definitely do that in coming sunday again. Because the hard ground and short grass on fairways (and roughs too, it’s not always The Open kind of style setup luckily) a good drive from tee can easily be well over 300 yards long to the downwind… It is neat to hit bump and runs, and to putt from 50 yards off the green, and sometimes to the upwind to hit 5 irons from 135 yards and run the ball in. It’s not always about what most people think about a traditional links golf course, which is being able to hit the ball low. At times you will have to do that. There is a varied amount of shots, but it’s just really getting used to chipping off the turf and controlling your distance off a different turf, which most of us don’t play that often. 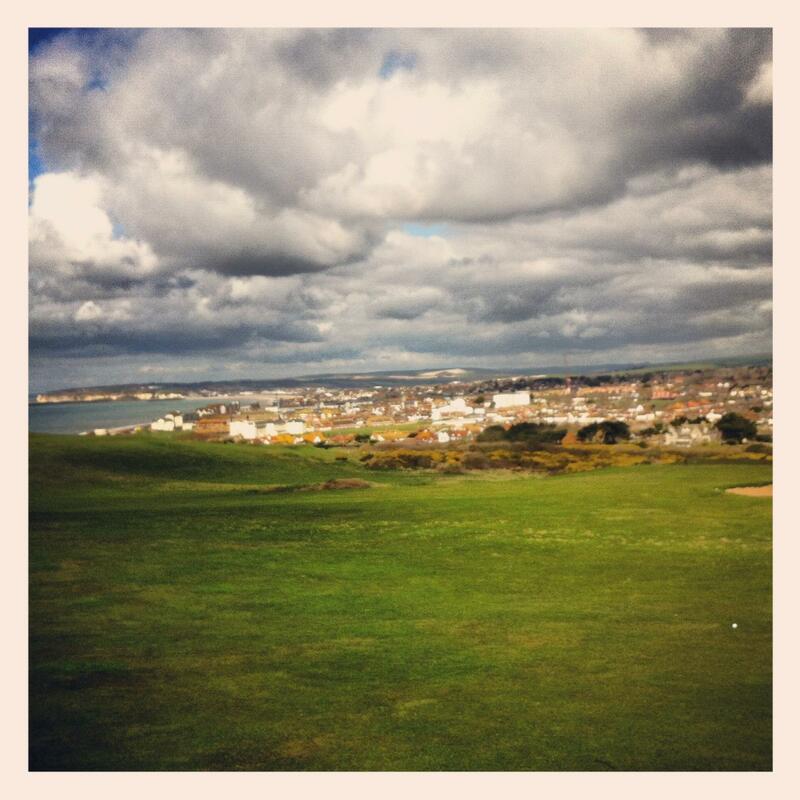 I played at Seaford Head Golf Course and Seaford Golf Club in a row. Seaford Head has one of the most breathtaking views in Sussex, especially from the last hole’s tee box – Spectacular cliff-edge finish! Over all it’s an undulating downland / links style course and pretty good one. Short, pretty easy too but at the same time the greens were like stamp-sized. If you hit good drives there, you’ll only face less 100 yard approach shots on most of the holes there. Same thing at Seaford Golf Club: Hit long drives and you have only pitch shots left to the green. I did hit good drives, and because the great bounces and good roll I succeed pretty well there. Have to use my chance and share my card here too, once I finally got the card not to be too shy to share 😉 That round was played at Seaford Golf Club on last Friday. Great greens there..
On Sunday, I encountered a huge and sometimes even frightening surprise. March for England protest attracted 150 people with a counter anti-fascist protest attracting more than 1,000 against it. Street near by the Brighton beach was closed as well as many other streets, the police walled all the areas and there were cops around more than I’ve ever seen in my life at the same time. Well, I survived. You know, when you’ve tasted it, it’s hard to stop. Leaving to Fife, Scotland tomorrow to play six more rounds of links golf. Planning to play at least St. Anderws’ Castle Course and hopefully the Old Course as well (if I got lucky in Ballot), both courses at Crail, Lundin Links and Leven Links. 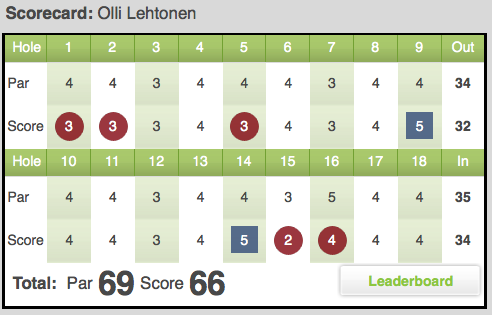 Not the cheapest trip I can tell you, but pretty special one for the Finn at least. View over Brighton to the canal from the 17h hole at Seaford Head Golf Club. This brings me to an important issue that I’d like you all to notice. Sometimes it happens that some particular golf course is missing on GameBook’s database. You are always able to create a new course there just by your self! Or you can contact us directly as well and we will do that for you. As we are cleaning up our database right now because the overlapping course data, you are not able to see unofficial courses there anymore unless you haven’t created it or played on that course. How do you recommend so-called official GameBook course? When searching the course you’ll see small GameBook logo after course’s name. Happy to help you guys also on Twitter & Facebook as well anytime! Appreciate your help, dear Gamebookers! Nice write up! I’m leaving for Scotland on Wednesday (22nd May) and heading Dornoch Firth then to Aberdeen. I’ll be playing the same courses as you will! You are so right, links courses in the isles is great and a real pleasure and challenge. I can’t wait to head out!